We compare three notions of knowledge in concurrent system: memoryless knowledge, knowledge of perfect recall, and causal knowledge. Memoryless knowledge is based only on the current state of a process, knowledge of perfect recall can take into account the local history of a process, and causal knowledge depends on the causal past of a process, which comprises the information a process can obtain when all processes exchange the information they have when performing joint transitions. We compare these notions in terms of knowledge strength, number of bits required to store this information, and the complexity of checking if a given process has a given knowledge. We show that all three notions of knowledge can be implemented using finite memory. Causal knowledge proves to be strictly more powerful than knowledge with perfect recall, which in turn proves to be strictly more powerful than memoryless knowledge. We show that keeping track of causal knowledge is cheaper than keeping track of knowledge of perfect recall. 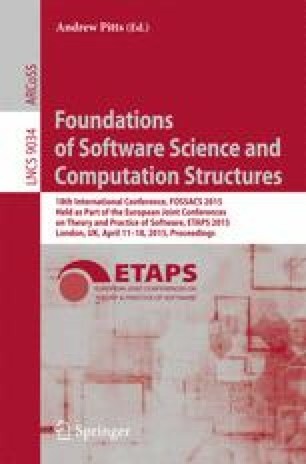 The work of the second author was partly supported by ISF grant 126-12 ”Practical Synthesis of Control for Distributed Systems”, and partly done while invited professor in University of Rennes 1.